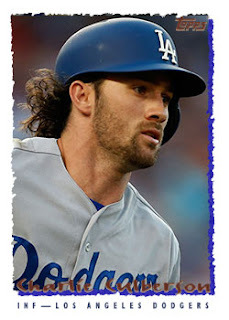 Dodgers Blue Heaven: Thank You, Charlie Culberson! You gotta love an unsung ballplayer like Charlie Culberson. 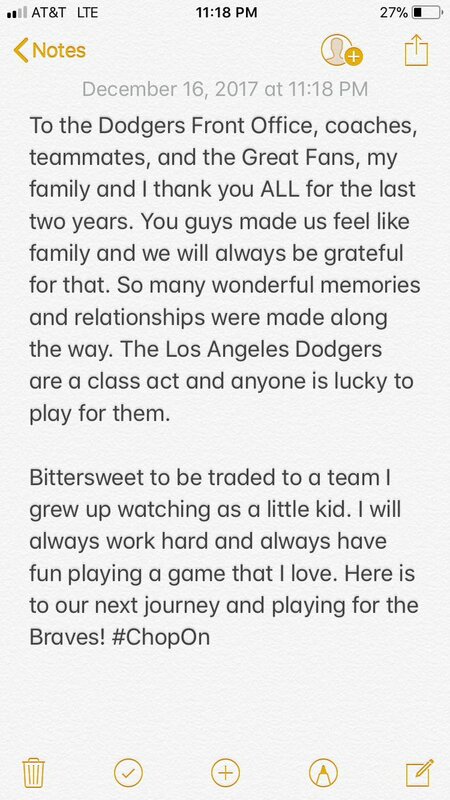 Most of us -- no, all of us -- didn't expect him to have an impact on the Dodgers when we first signed the minor league free agent castaway in late-2015. Thankfully, he showed us that we were wrong to doubt him. Sure, he wasn't a superstar or even a starter, but he was effective when put into games. 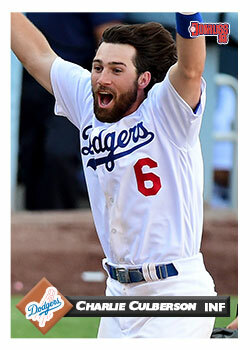 Heck, he even helped win a few; including a league championship series. 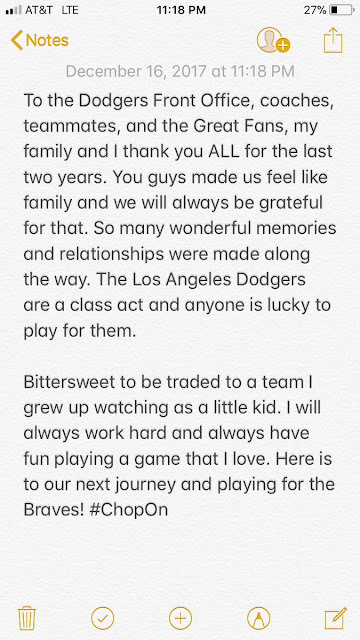 As you surely know by now, the Dodgers pulled off a highly creative transaction with the Braves this past weekend that resulted in the Dodgers pairing some debt in order to get below the salary cap this coming season. High-priced vets moved along include Matt Kemp (to the Dodgers), Adrian Gonzalez (since released), Brandon McCarthy and Scott Kamir. 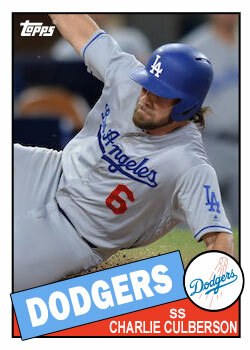 The cost of the trade, that really helped both clubs, was born by the Dodgers. 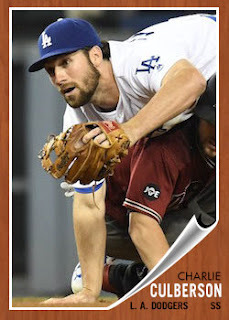 They had to give Atlanta the very useful Charlie Culberson. I sincerely hope he finds everyday success in Atlanta -- the guy deserves it. I am gonna miss Charlie. In honor of what Culberson did for the Dodgers I made the above four fantasy Baseball cards of him. I always liked him when we had him in Colorado.